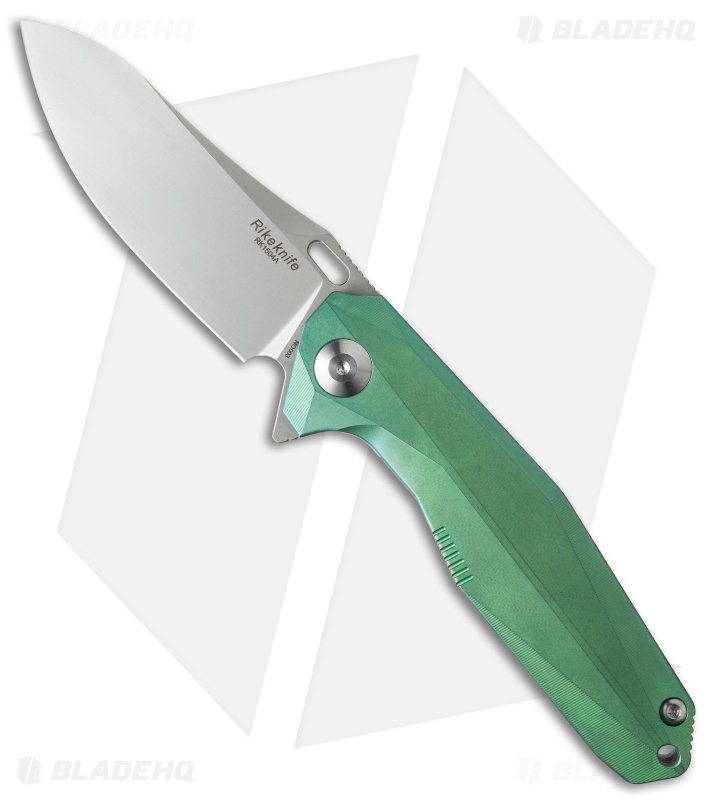 The 1504A Flipper from Rike Knife offers smooth opening action for lightning fast blade deployment. 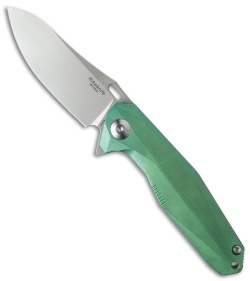 This model is outfitted with a green anodized handle and a sheepsfoot style blade. It features solid titanium construction and an S35VN steel blade for extreme strength and durability. 3D machining on the handle provides a comfortable grip and a clean, sophisticated look. 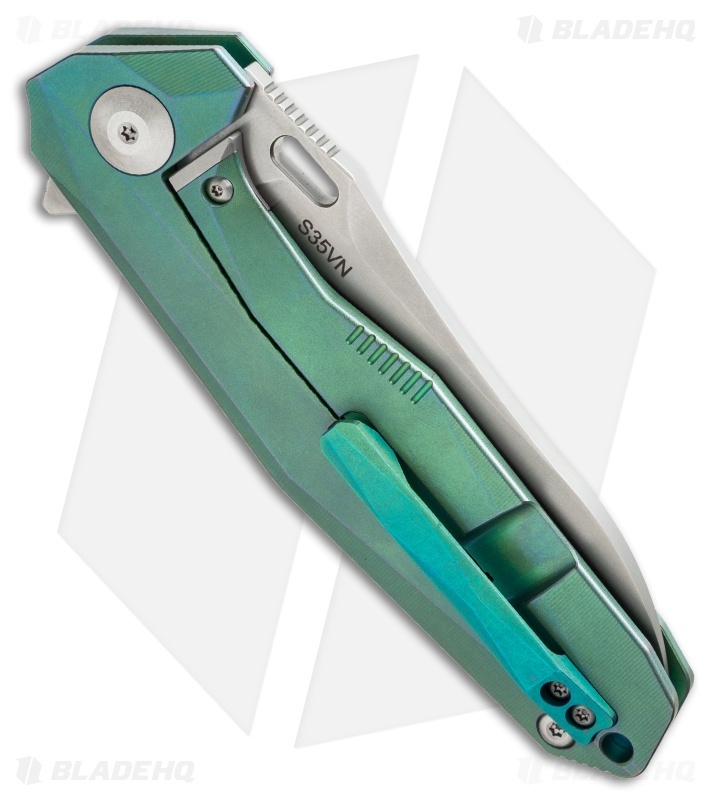 The 1504A includes a titanium pocket clip and lanyard hole for convenient EDC. 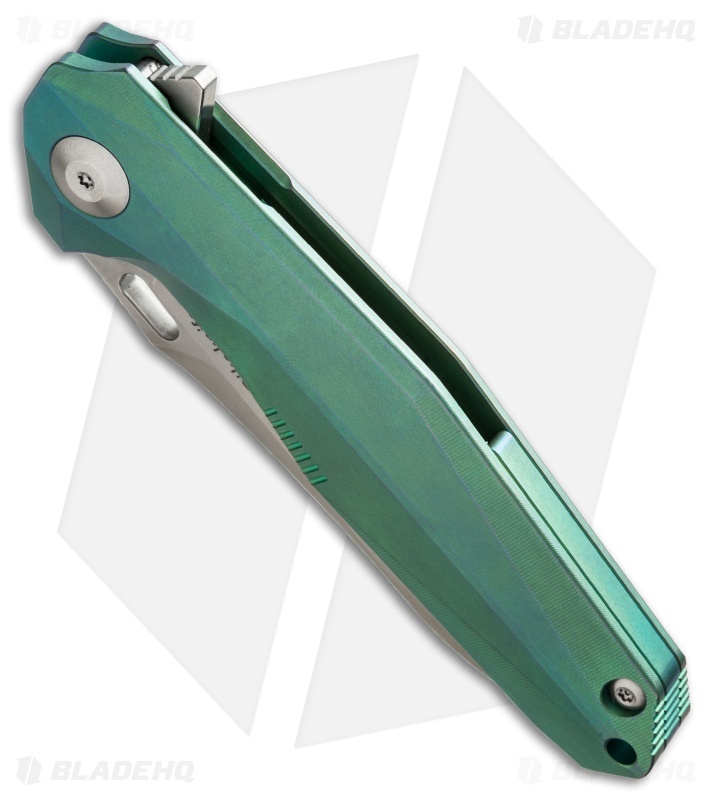 Single-piece titanium, frame lock handle. S35VN steel blade for extreme strength and edge retention.